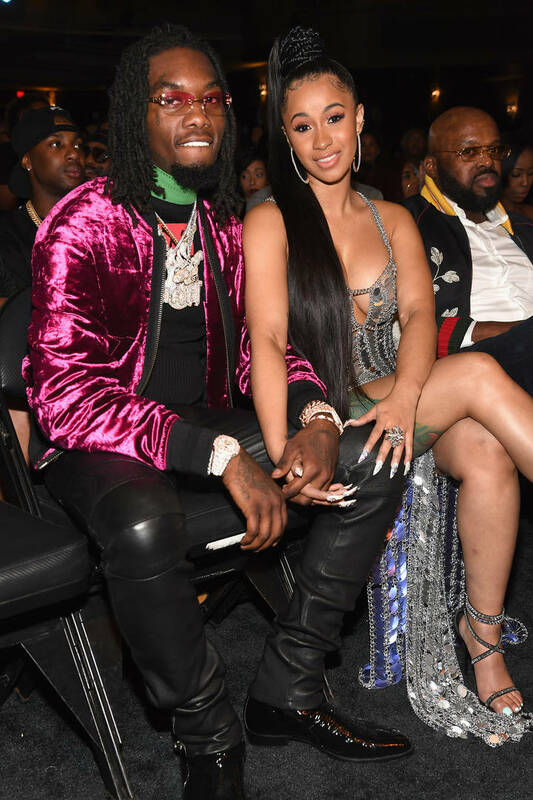 Offset stands by Cardi B with a passionate declaration of love. There appears to be a growing disconnect between fans and rappers, especially when matters of the past are brought to prominence. Cardi B recently found her own previous comments coming back to haunt her, at least in a sense. A video from years past revealed a modus operandi which involved drugs and robbery, while another found her reflecting on a revenge scheme drawn from the darkest South Korean cinema -or possibly Royce Da 5'9"s "Part Of Me" track. And yet while some professed outrage, many defended Cardi's honor, citing a conundrum that has oft plagued the modern-day rap listeners: can one truly desire authenticity in music while slamming those forced to navigate through a violent environment? Though Cardi has since apologized, a wise move given the backlash (exemplified by a "Surviving Cardi B" hashtag), Offset has risen to her defense. Taking to Instagram, the Father Of 4 rapper shared a picture of the couple, paired with a heartfelt declaration of undying loyalty. "RIDE OR DIE FOREVER," he writes. "LOVE YOU NO MATTER WHATS GOING ON I LOVE YOU BEST MOTHER AND HUSTLER I KNOW." Clearly, the couple is going strong, and it doesn't seem like he's particularly fazed by her previous actions, the same way she remains unfazed by his own.